Location: Branxholme, Scottish Borders, Scotland. Notes: Branxholme Castle is a five-storey tower at Branxholme, about 3 miles south-west of Hawick in the Borders region of Scotland.The present castle is on land owned by the Clan Scott since 1420. The Earl of Northumberland burned the first castle in 1532. The next held out against the English in the War of the Rough Wooing in 1547. But in due course the Scotts themselves slighted the castle in 1570, the English, under the Earl of Essex, finishing the job with gunpowder. Within a decade Sir Walter Scott of Buccleuch had commenced the rebuilding. The Scotts were during these troubled years frequently the Wardens of the Middle March. 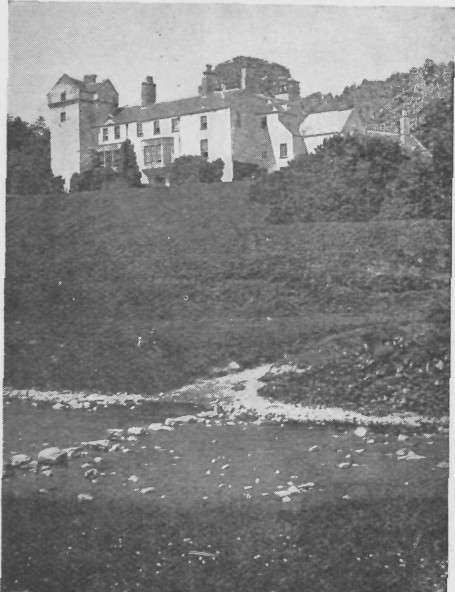 The castle was extensively remodelled by William Burn in 1837 for the 5th Duke of Buccleuch. The Branksome Hall School in Toronto, Canada, is named after this castle, and has been given a replica of a mantle from the castle.